August 15, 2015 August 17, 2015 Madeline McEwen-AskerLeave a Comment on Book Review of Destination: Mystery! 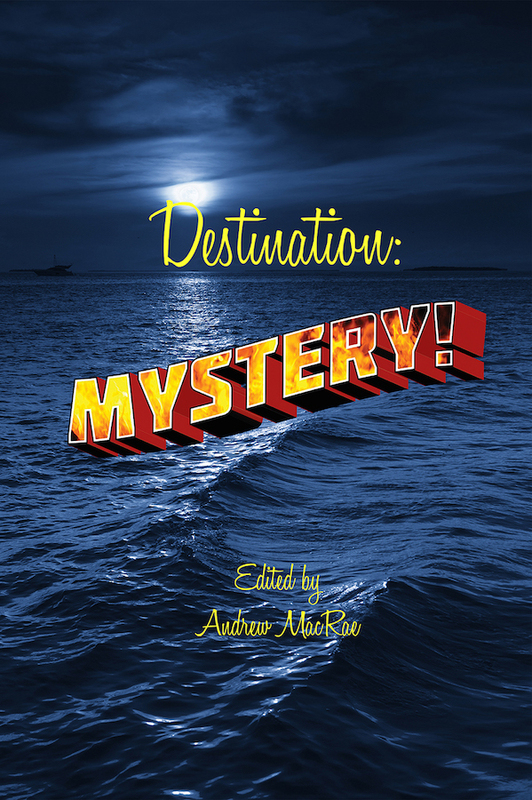 Book Review of Destination: Mystery! While the world and his wife are away on vacation in August, I am stuck at home. However, that doesn’t mean I can’t whisk myself away on an imaginary tour of the best holiday destinations available with this well-seasoned collection of murders and mysteries. I thoroughly enjoyed this weekend read and I hope you will too. Rather than post spoilers, instead I wanted to share a few of my favorite lines from each. This is no mean feat since the temptation to include a vital clue when spotted is almost irresistible, but here goes. Plastic Paddies by Rosemary McCracken story is settled in Dublin, Ireland. “Not what I’d expected in Ireland,” I said. Critical Mass by Vinnie Hansen hidden in plain sight of the Santa Cruz coast with more than a couple of witty one-liners. Alien by Charlene D’Avanzo on Maine’s rocky coast. Blood Lines by Dennis Palumbo whisks the reader away to the Bahamas, high on my wish list. Tis the Season by Caroline Taylor takes us to Carolina coast to a far chillier time of year. Murder in the Middle of a Battlefield by Brenda Seabrooke happens over in Front Royal, Virginia. Unhappy Trails by John Hegenberger in the State of Ohio. The Bride Wore Gold A New Orleans Wedding by Margaret S Hamilton says it all. Mess with the Bull, Get the Horn by Michael Terlecki’s story is situated in Las Vegas. Wrestling with the Noontime Demon by Warren Bull in the Chihuahuan Desert, Mexico. The Letter B by Bern Sy Moss transports the reader to Door County, Wisconsin. Looking back over this before posting, I notice a food theme emerging. That’s the trouble with reading a great book, we forget to eat, too engrossed in meaty stories. I feel this anthology would benefit from a map but there wasn’t one in my e-book download, besides, everyone has the Internet, right? I would like to thank the authors for increasing my vocabulary with two new words: sniled and Bullsmotch. But don’t feel too bad for me on my staycation, after all, if you have to be stuck somewhere, where better than sunny [36 degrees Celsius / 97 Fahrenheit ] California? Next Book Review of Stories from the World of Tomorrow: The Way the Future Was!